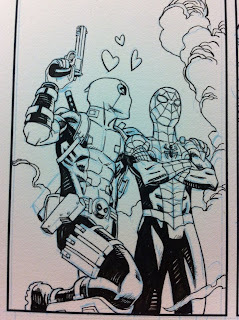 Mike Hawthorne: The round up - Fun Signing, Deadpool loves Spidey, and GO JOE! 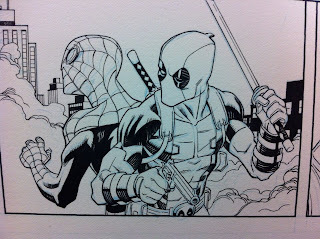 The round up - Fun Signing, Deadpool loves Spidey, and GO JOE! Been hella busy, which means I haven't checked in on your guys in a bit. How are you? All good? Is the rash clearing up? Good, good! Deadpool is chugging along well. Wrapped up issue 10, and will start 11 soon. In case you didn't hear Arthur Adams is doing the covers for the series, which is a treat for me because the man was a hero of mine as a kid! Very honored to have his covers making my interiors look half baked! Check out his newest cover here. 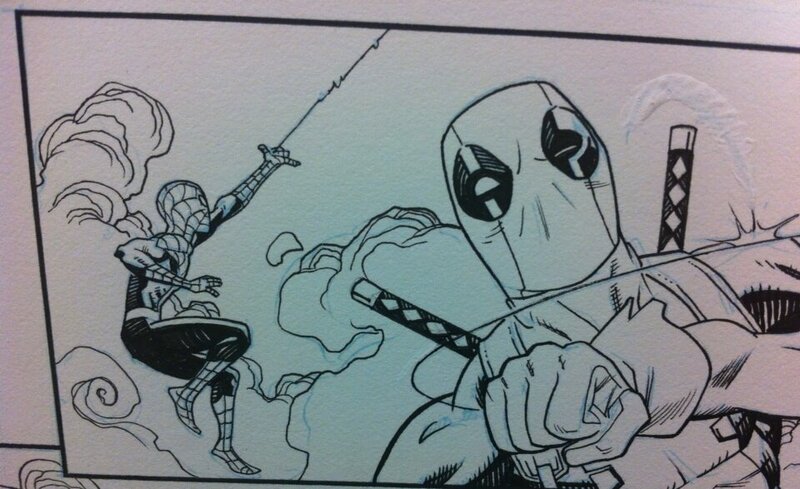 You may notice that it says there that Spiderman will guest star in issue 10 of Deadpool there. That's right. Spider. Man. 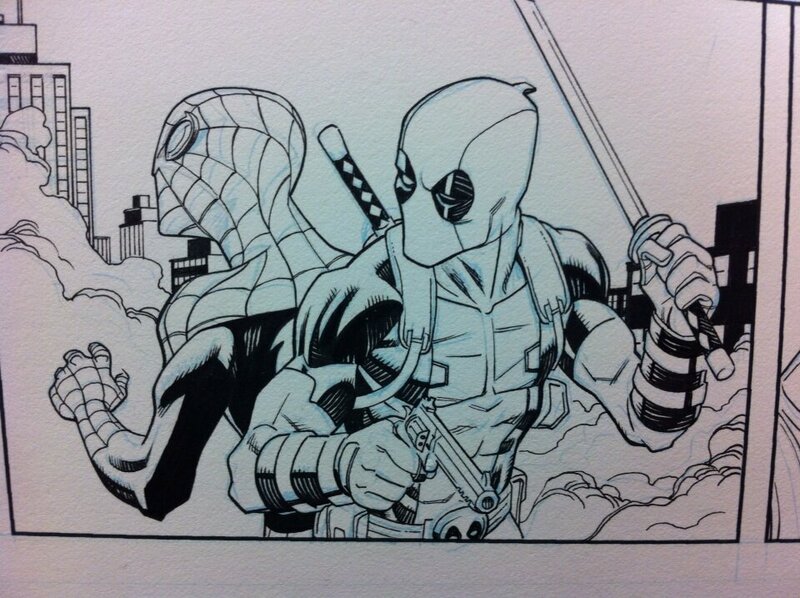 Pretty sweet getting to draw him with DP. I've been posting progress pics from the studio over on my Twitter account. Here's a taste of what you've been missing if you're not on Twitter. I'm also working on some book plates for a special edition of my G.I. JOE book for IDW. Nice getting to revisit the JOES. Still love some of those Baroness pics. Good stuff. 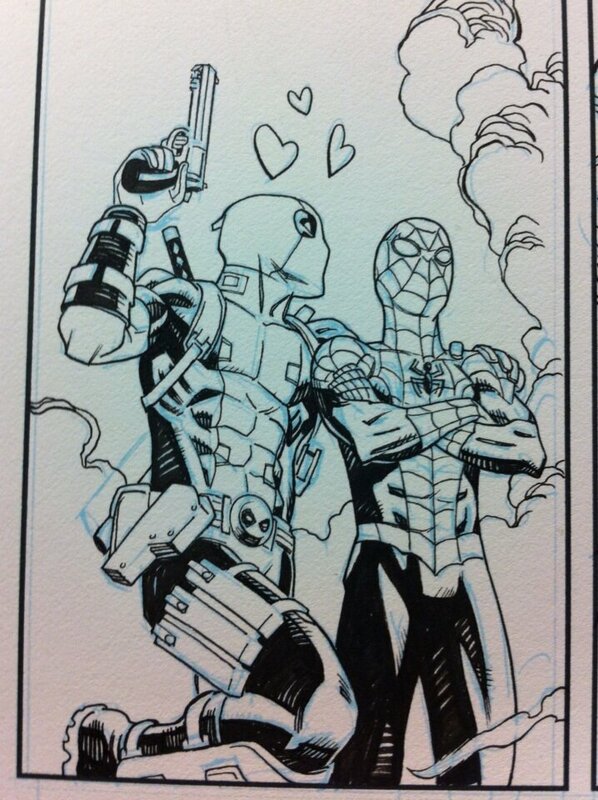 And can't wait till the Deadpool issues hit. Will be fun. And Art covers to top them off, booyeah. Is the Deadpool just an arc spot for you or more longer term? Thanks, man! Glad you like it all. 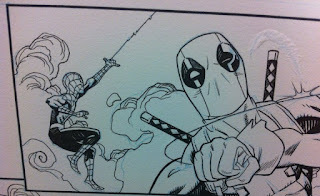 I'm contracted for one arc on Deadpool, and discussing a second arc. I'll stay on as long as my schedule allows.